"+displayedXMLMarkers[count].getAttribute("address")+""+"Distance:" + displayedXMLMarkers[count].getAttribute("distance")+""+"Website: " + displayedXMLMarkers[count].getAttribute("website")+""+"Phone:" + displayedXMLMarkers[count].getAttribute("main_phone")+""+"Fax:" + displayedXMLMarkers[count].getAttribute("fax")+""+"Email:" + displayedXMLMarkers[count].getAttribute("email")+"
'); }; // $(".mapResult:nth-child(1)").addClass("first"); // $(".mapResult:nth-child(3)").addClass("third"); // // // $(".mapResult:nth-child(4)").addClass("clear"); // $(".mapResult:nth-child(4)").addClass("fourth"); // $(".mapResult:nth-child(5)").addClass("fifth"); // // $(".mapResult:last").after("
From sale to service, you can depend on your KIOTI dealer. 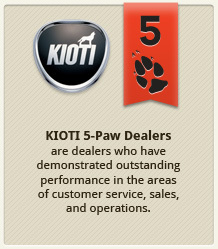 KIOTI offers a growing network of authorized dealers across the United States and Canada. All authorized dealers are trained KIOTI product experts who will help you select the best compact tractor and accessories for your needs and help you maintain them for years to come. Enter your zip code below to find a dealer near you.